On January 12, a devastating magnitude 7.0 earthquake crippled Haiti. Up to 3 million children and adults were in need of food, shelter, supplies and medical care. In response, Sun Realty asked Outer Banks locals and vacationers to join us to help the people of Haiti. Sun Realty and Sun CEO and founder, Paul Breaux, donated $2,000 to the American Red Cross for Haitian earthquake relief. Mr. Breaux and Sun Realty also matched up to $1,000 in additional donations for Haitian relief efforts. The team at Sun Realty collected financial donations from employees, real estate sales agents, homeowners, guests and the Outer Banks community. Donations were accepted at all Sun Realty office locations. Guests were able to contribute when booking their Outer Banks vacations. Guests were able to donate by calling 888-853-7770 and referencing their reservation numbers. All Sun Realty contributions and matched donations were sent to the American Red Cross to support emergency relief and recovery efforts in Haiti. 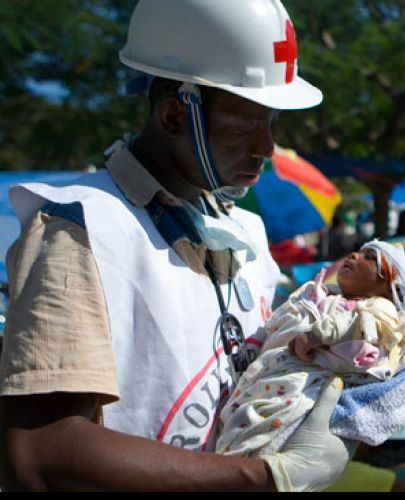 The American Red Cross used such financial donations to deploy personnel, send relief supplies, and provide financial resources to children and adults. Sun Realty was proud to show the people of Haiti that the OBX cares! Photo and Red Cross logo courtesy of RedCross.org. of Outer Banks vacation rentals.